Weinstock and Kuebler had been living and working in Russia during the early 1990s immersing themselves in the language, business climate, and culture of the nation. The two identified a need for health-themed workout facilities in the former Soviet Union. When they met Grumlik, a Russian entrepreneur who had helped open some Nike stores among other endeavors in his native homeland, they knew they were on to something. They borrowed money from friends, families, and financial institutions to open their first Gold's Gym franchise in Moscow at the end of 1996. In the beginning there was an initial rush of early success followed by a cooling period brought on by some economic turmoil in the late 90s. But those tenuous times were followed by a period of growth and expansion - which continues today. Hard times can teach fundamental lessons about international franchising. It's necessary to create and maintain a stable business that can endure ups and downs in any market climate - especially internationally. Weinstock and Kuebler's success can be traced to their business approach. The two Americans and their Russian partner were prepared for international business operations. They understood the cultural barriers, language barriers, and governmental barriers, among other challenges. This is proof to franchisors and franchisees that it's vitally important to have the right partners on the ground, develop close local relationships, and have a thorough understanding of local markets. Even though franchising is all about streamlining, there can be room for adaptation. It's critical to really identify what the local customer wants and try to adapt in some way, says Weinstock. He describes how they discovered that their Russian Gold's Gym customers desired something much like their traditional banya - where they sit in an extremely hot sauna and follow that with a dip in a cool whirlpool. That's not something a Gold's Gym would offer in America, but Weinstock and Kuebler do in Russia. Another international challenge that often comes into play is the challenge of operating an American-based franchise under the rules of a foreign government. Weinstocks says they tackled this problem by identifying the right government officials, building relationships with them, and making sure all operations (especially financially) were done by the book. Ever-changing rules, regulations, and economies can affect franchise business operations. Overseas communication with the franchisor can pose problems to the international franchisee. Today's technology can help bridge the communication gap. Weinstock, Kuebler, and Grumlik have built a great partnership and a great network of Gold's Gym franchises. They now have units open throughout Russia, Budapest, Hungary, and Prague, Czechoslovakia. It's been a solid - and lucrative - business decision for the two Americans and their Russian ally. As for operations, Weinstock says he spends most of his time working the development angle, looking for new territories and locations. Kuebler is more of the day-to-day CEO, the operations guy who keeps an eye on the business. Weinstock and Kuebler travel quite a bit but Grumlik is always on the ground in Russia keeping them up-to-date. The partnership has been working for 20 years now. 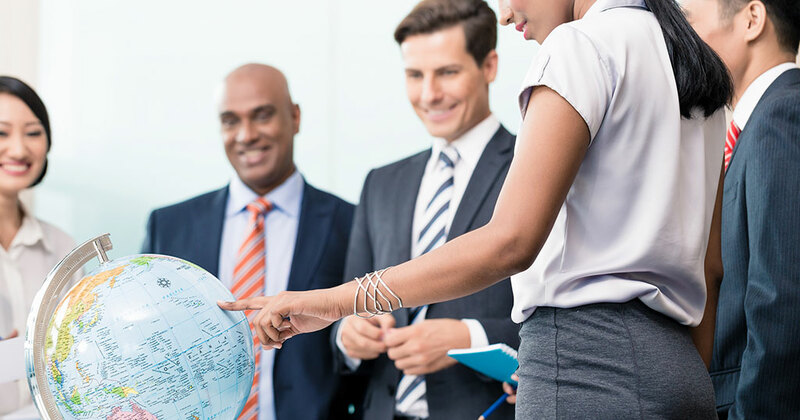 International franchising can be complex and offer its own unique set of challenges. But if you focus on local markets and culture, partner with the right people at the right locations, and tweak the concept to address local customer desires, it can be a profitable endeavor.